Just as described and shipped fast. Thank you. Crazy fast shipping, great price, awesome product. Thank you!!! 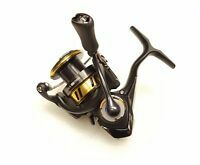 Great reel with good line capacity , low profile and comes with or without a flipping switch which the model I have has one and you'll love it if you love to flip grass like me. Also you can turn it off to operate normally . Might be my new favorite reel! This reel is amazing. 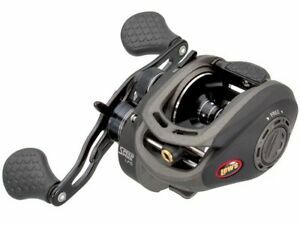 Lightweight, cast like a dream, not a backlash with minimal set up. Extremely smooth retrieve and large grips on handle make it very comfortable. Paired with Heavy Daiwa Tatula rod and 65lb Power Pro braid. Bass watch out! I needed a reel with a flippin switch and this Lew's reel delivers! Super smooth and a very strong drag. I liked it so much I bought another right away. They made great reels in the 80's and things are looking bright again! One 4 Frogs - One 4 Ploppers! American Legacy Fishing beats all others!